Today's kids are given many mixed messages about food. While they're bombarded with junk food ads on one hand, the media also sends unhealthy messages about the ideal body size. So it's no wonder that many parents aren't sure how to talk to kids about food. From obesity and picky eating to sugar addictions and eating disorders, kids may develop a variety of unhealthy eating habits if you're not careful. 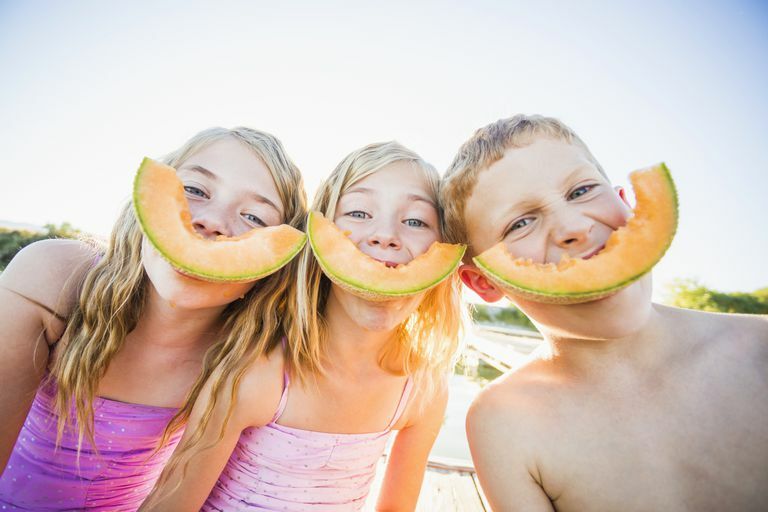 To help your child develop a healthy attitude toward food, create rules and establish healthy habits. Be a good role model and get proactive about influencing your child's meal and snack choices. Jennifer McDaniel, a registered dietitian nutritionist, certified specialist in sports dietetics and the spokesperson for the Academy of Nutrition and Dietetics shares the strategies she uses to encourage her children to develop healthy bodies and healthy attitudes toward food. Ask that everyone take at least one bite of every food on their plate. If they do not care for the food, after taking that a bite, they can say “no thank you,” and move on. Food exposure is key to acceptance. It can take up to 20 times of exposing a child to the same food before they decide to embrace it. Words such as “yucky,” “gross” and “nasty” are not allowed to be descriptors of food. This keeps one family member from influencing the behavior of another member’s preferences. The goal for table talk is to resonate healthy tones. As a dietitian, I often hear from others that my family probably only eats “healthy” foods. I myself live by the 80/20 rule where 80 percent of my choices are nutrient-dense foods and 20 percent are more “sometimes” foods or what might be considered treats. The key is that these treats are offered randomly and should not always be expected to be offered after a meal or after a winning game, etc. There is no major “celebration” around these treats, just the fun spontaneity of going for ice cream on a random weekday night. My children are young, but if dad is in town, we do our best to sit down together as a family to eat. For super busy families this means that dinner might happen late to accommodate busy schedules. However, the value of eating together trumps the time or place of where we eat. Research shows that when a family eats together, kids perform better in school, are less involved in risky behaviors, and maintain healthier weights. Eating together as family is a time to connect, and it is a rare time in the day when everyone can gather in one spot for just 20 to 40 minutes. What mom or dad cooks for the meal is what gets served. Short order cooking is not only energy draining on the cook, but does not reinforce the concept of offering balance and exposing children to new foods. Picky eating is a natural behavior, but if the cook always accommodates by making something separate for the picky eater, the picky eating will rarely improve. Always offering a sweet or treat after a meal. This can lead to unhealthy patterns that can last throughout life. Requiring the child eat everything on their plate. A child should be in control of how much she eats. If you make her sit at the table until her plate is empty, the eating experience will become a negative one. Using food as a reward or entertainment. If cookies are given to reward kids for eating their broccoli, your child will begin to think that broccoli must be a pretty bad food if they have to get cookies because they ate it. Teach your children food is meant to fuel their bodies. How Can Parents Get Their Children to Eat Healthy School Lunches? How Can You Help Your Kids Make the Best Healthy Drink Choices?